Even though I’ve already done a mini quiche recipe, I though it might be nice to share the original recipe. This is an awesome quiche to make ahead or make on a weekend morning. Great for brunch but also works for lunch with a side salad-yum! 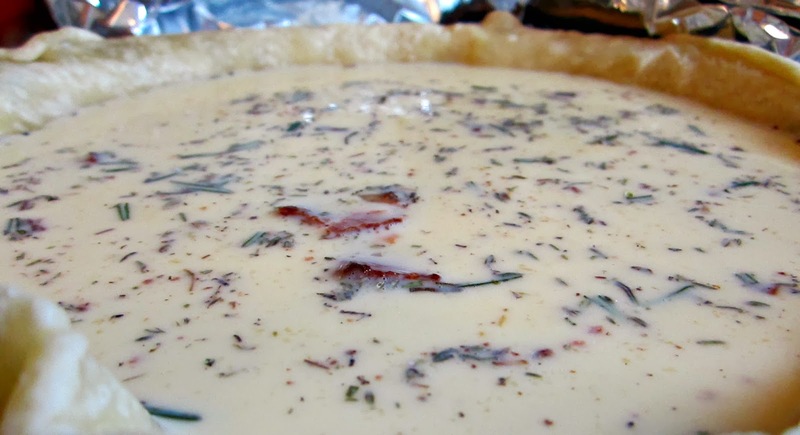 This recipe is for a pretty classic quiche lorraine-esce pie, but you can get creative and add veggies, different meats or whatever else you desire. 1. Heat oven to 375 degrees Fahrenheit. Spray 9-inch pie pan with cooking spray and fit crust into pan. 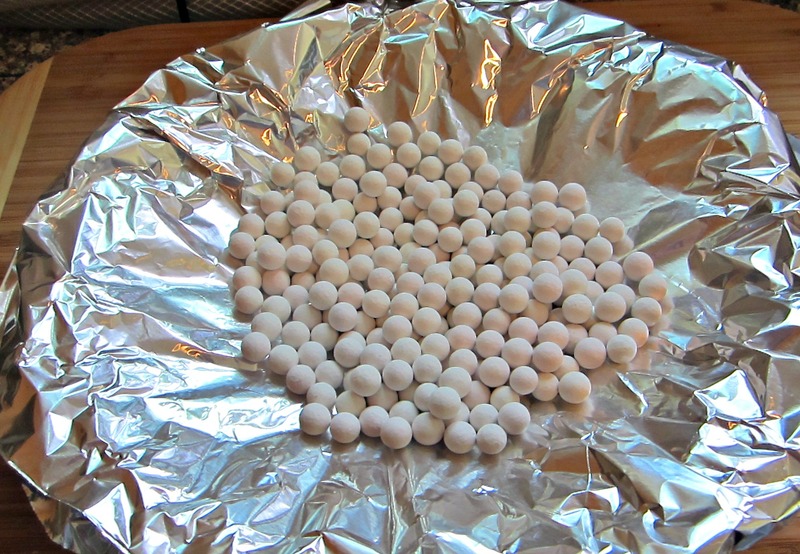 Cover with tin foil, fill with pie weights (nuts work well if you don’t have weights) and bake crust for 10-15 minutes on a cookie sheet. 2. Saute onions with a pinch of salt and pepper until translucent. 3. In a large bowl, whisk eggs and milk together. Once mixed, add onions, bacon, herbs and spices. 4. 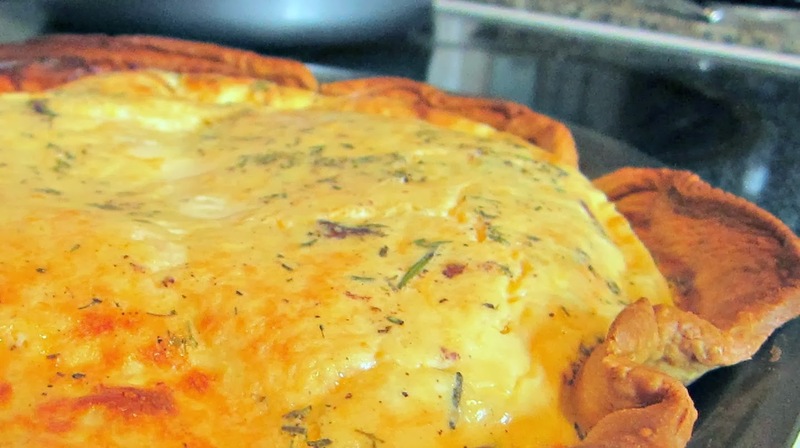 Pour half of egg mixture into baked crust, sprinkle cheese over the mix and top with the other half of the egg mixture. Bake until knife inserted into the center comes out clean, about 30 minutes. Let cool for about 10 minutes before slicing.